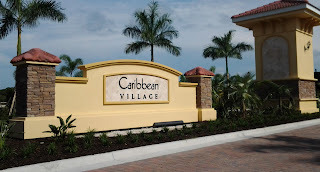 If you're looking for a new home in southwest Florida, no doubt you've come across The West Villages in Venice FL. 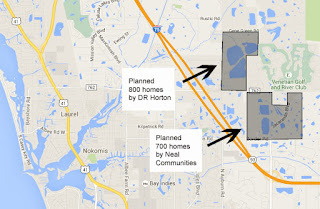 I'm one of probably a handful of local Realtors who cover three large master planned communities, and 2 of the top 5 in the country: The West Villages, Lakewood Ranch, and Babcock Ranch. 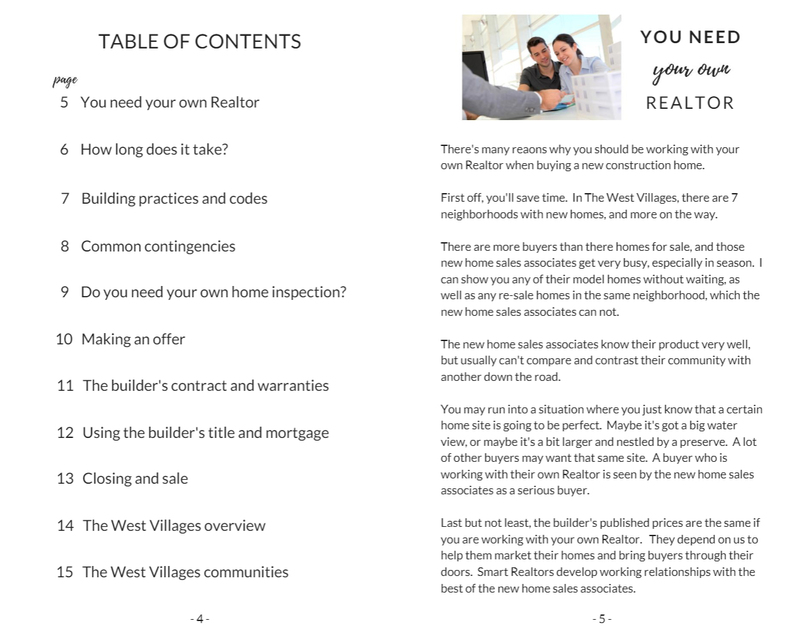 You can download my exclusive e-book, which includes answers to many frequently asked questions about buying a new construction home, along with individual overviews of each currently available community in The West Villages. Click here to download. 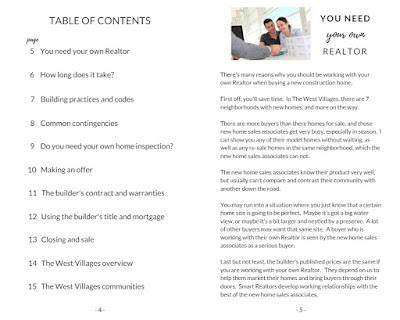 You can also view the e-book live from your browser, on your mobile device or computer. Click here to view live online. Remember, new homes cost the same when you're working with your own Realtor. I look forward to helping you find the right new home for your needs.